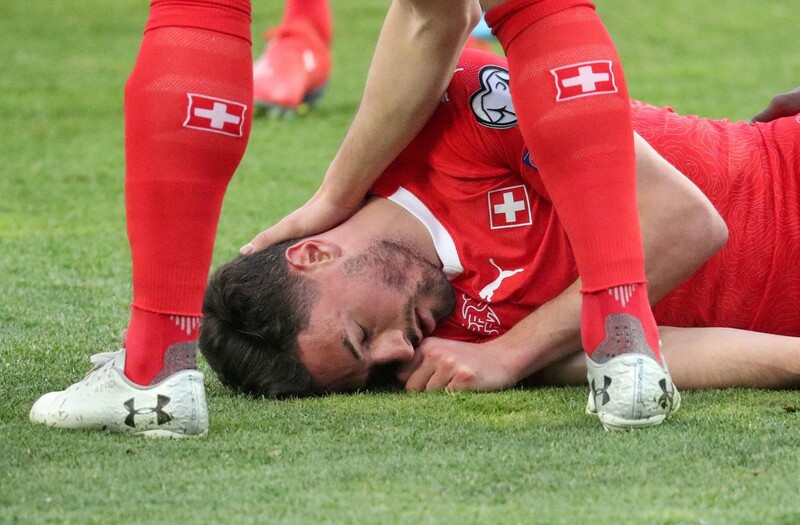 There were worrying scenes when Switzerland took on Georgia in their UEFA Euro 2020 qualifier when Swiss defender Fabian Schar played on despite suffering what appeared to be a concussion after a sickening clash of heads. Newcastle defender Schar slammed heads with Georgia’s Jemal Tabidze early on in the game as they challenged inside the box, leaving the Swiss player prone on his back and seemingly out cold. Concerned players from both teams rushed over and placed Schar in the recovery position, as medics ran over to treat him. Incredibly, after returning to his senses and receiving around four minutes of medical care, the 27-year-old was deemed fit enough to continue. Tabidze was left needing bandages to his head after receiving a cut in the collision, but also played on in a match refereed by England’s Craig Pawson. 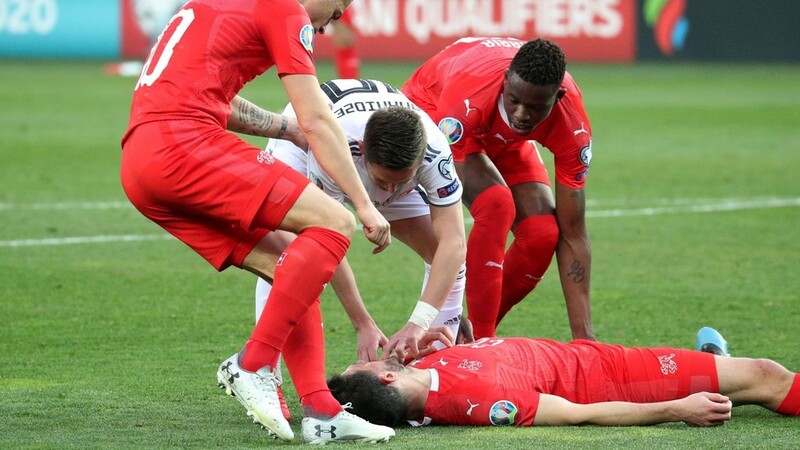 The Swiss won the Group D qualifier 2-0 at the Boris Paichadze Dinamo Arena in Tbilisi, thanks to second-half goals from Steven Zuber and Denis Zakaria. But much of the attention will be on Schar amid football’s much-scrutinized concussion procedures. 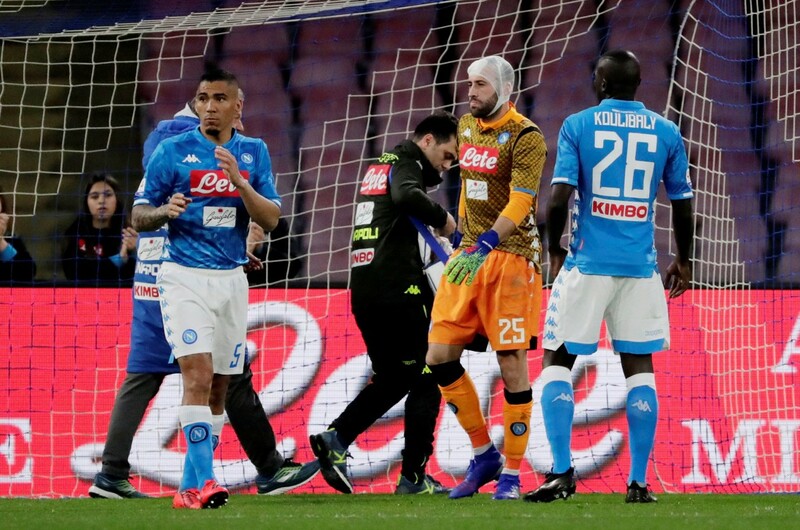 Last weekend, Napoli goalkeeper David Ospina collapsed on the pitch, having earlier hit his head in a collision with an opposition player. 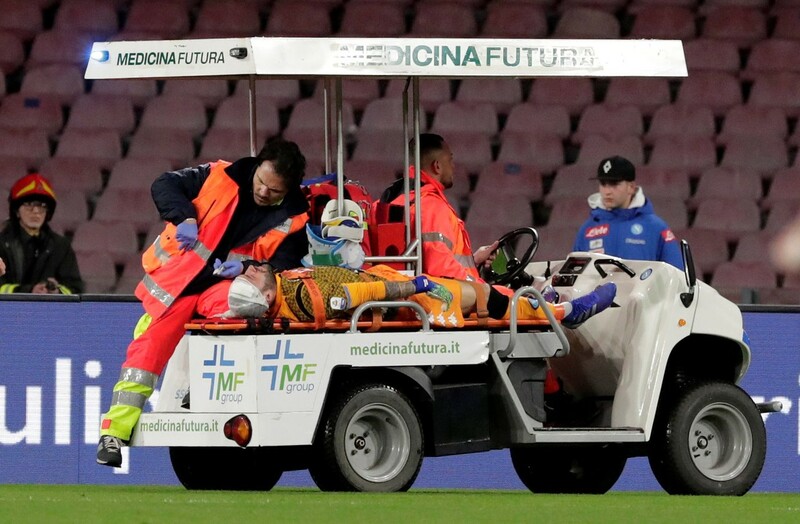 He was substituted and taken to hospital, where he has since been given the all-clear. Brain charity Headway, which helps sufferers of serious head injuries, slammed the decision for the ‘keeper to play on after the initial collision. “We are deeply shocked and appalled at these latest examples of concussion protocols not being followed in football,” said executive Peter McCabe. There will likely be further anger over Schar’s continued game time after the collision on Saturday.